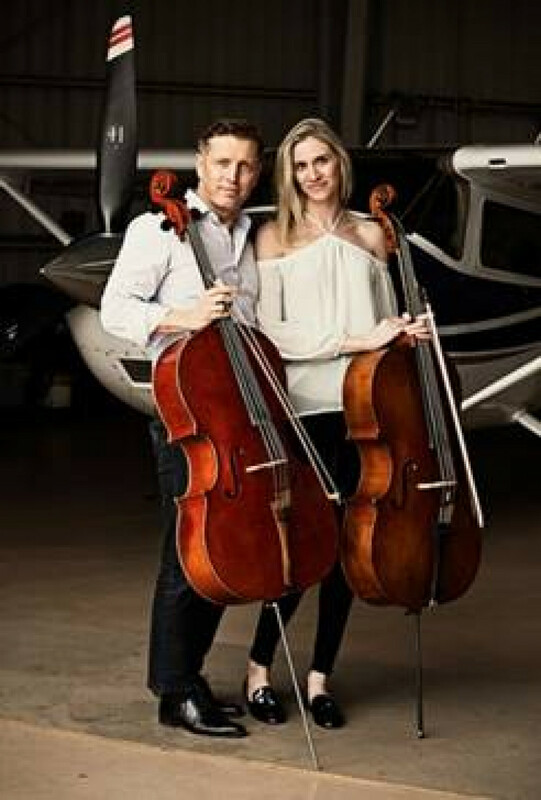 Ruslan Biryukov and Anne Suda, the faces that make up the dynamic cello duo Cellisimo, will be performing live in concert at Wallenstein Theatre on the campus of Big Bend Community College on Saturday, November 17, 2018, at 7:00 p.m.
Ruslan and Anne found an artistic connection while performing together in Los Angeles Cello Quartet, and further embrace the power of cello collaboration in Cellisimo. With their respective Russian and American backgrounds, Ruslan and Anne represent two countries with rich individual musical heritage as well as a complex and powerful relationship. Dedicated to championing solidarity of the human spirit, Cellisimo embraces the opportunity to serve as musical ambassadors, helping to unify a divided world by uniting and inspiring audiences from all walks of life. Passionate about sharing the warm vocal quality heard exclusively from cellos performing together, Cellisimo works to expand chamber music repertoire by commissioning and premiering pieces from composers worldwide. Recent collaborations include projects with composers from Iran, Kazakhstan, and the US/Puerto Rico. The Central Basin Community Concert Association has been presenting internationally acclaimed artists to the community since 1954. This all-volunteer nonprofit organization is committed to enriching the cultural life of the community through live performances. Thanks to the generosity of Patrons and Sponsors, these concerts can be offered at affordable, family-friendly prices. ‘Like’ and ‘share’ us on Facebook to spread the word about Central Basin Community Concerts! To order tickets please visit the website.